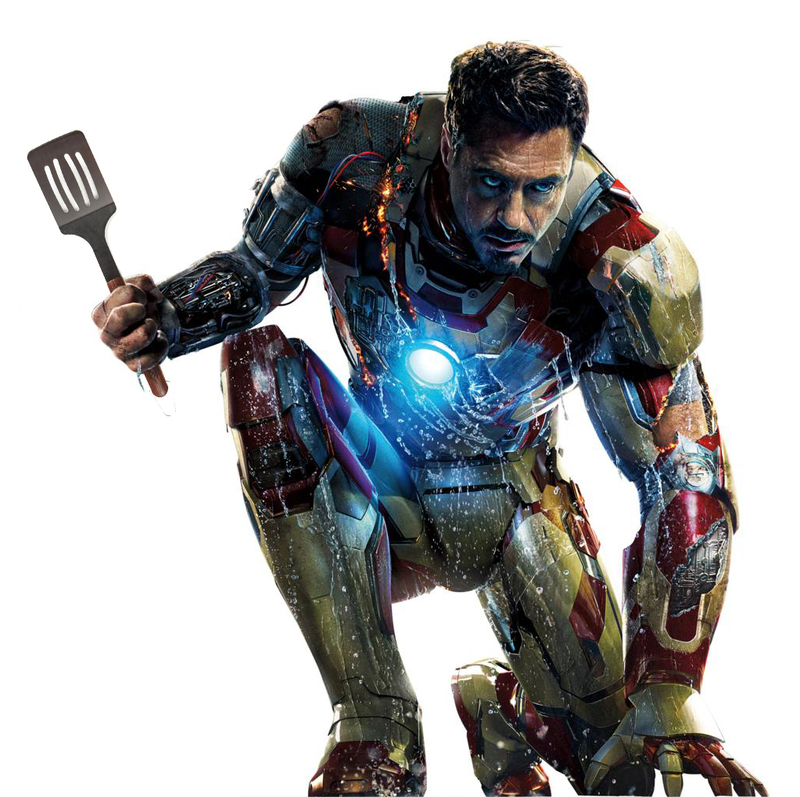 So Nuffnang is having this contest for the screening premiere of Iron Man 3. Upon looking at it, I thought to myself, I had to participate! The question was "Tell us how you would customize your Iron Man suit to make it extra special and what would you name it!" The Iron Chef : Weapon of Mass Nutrition! Personally, I love cooking but due to time and laziness, I don't usually cook. Also, the utensils in my house isn't sufficient to cook some of my favourite dishes. Thus the creation of this suit. Supply me with plenty of advanced technological utensils! Look at that picture! 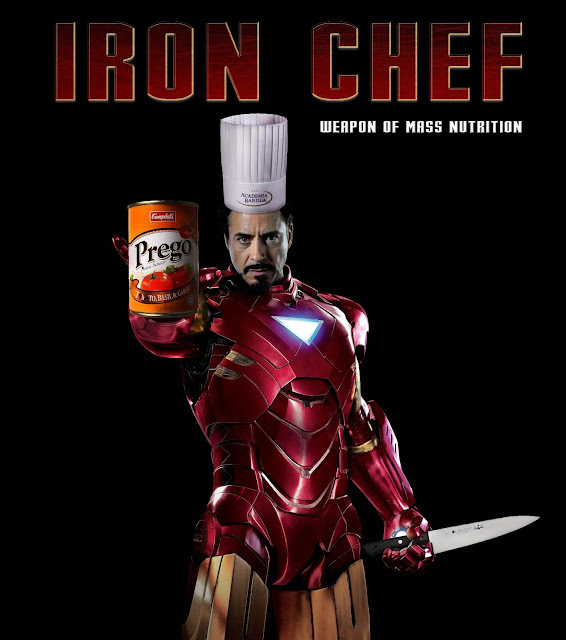 Robert Downey Jr. as a chef! 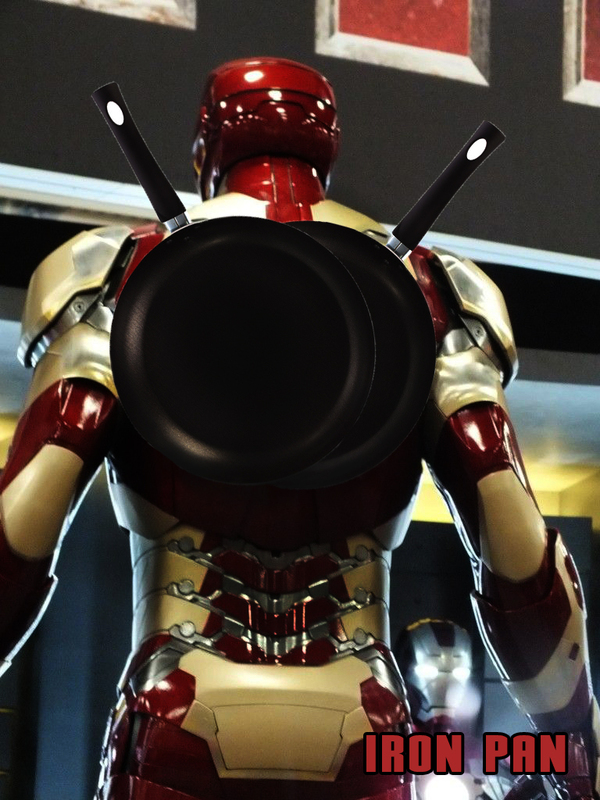 The Iron Pan! Kinda sounds like Iron Man + Peter Pan. Anywho, you think Stormshadow (G.I.Joe) is cool with his dual plastic katana? NO! This dual frying pan is the revolution of weapons and culinary skills. As seen on Tangled: Rapunzel, the frying pan served multiple purposes such as attack, defense, cooking and steaming! Hungry in the middle of a fight? Toast yourself some bread instantly! How useful! 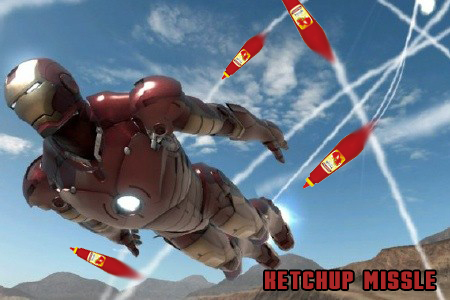 The Ketchup Missle! Friendly on the outside, deadly on the inside! Imagine having yourself constantly being rubbed in the eyes with ketchup! It would be painful! The deadliest weapon comes from the most torturing device. Able to fly up to 3KM with top speed of 120KM/H. Ketchup may be altered or combined with other sauce such as Tabasco or Mustard. DEADLY! The Ketchup Laser. Much like the Ketchup Missile, these deadly bottles of ketchup will bring terror to your enemy's eyes and harmony to your kitchen! Never run out of ketchup with this portable and pocket size refills! Last but not least, the Flammable Hands. What is cooking without heat? The suit's built in fire dispenser and heat modulator provides sufficient heat energy for sizzling a steak or even slow cooking some Chinese soup! The fire can be refilled with either natural gas or any kind of oil. The oil will also aid in the culinary world since cooking requires oil. One of the most hidden weapon within the armor. The Arc Reactor as well, provides flame for CQC (Close Quarter Combat) situation. 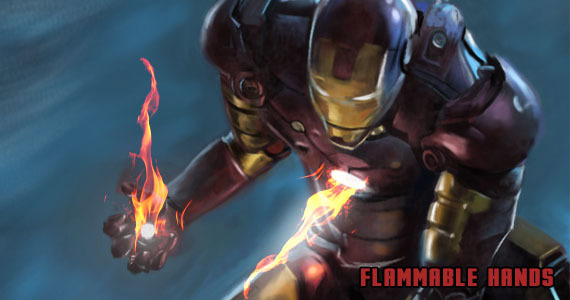 Both the Arc Reactor and the Flammable hands (stabilizers) also works with the original pulse energy. Cooking with your hands, defend your kitchen with your chest! In these present times, many people do not have the time or effort to cook a healthy meal. 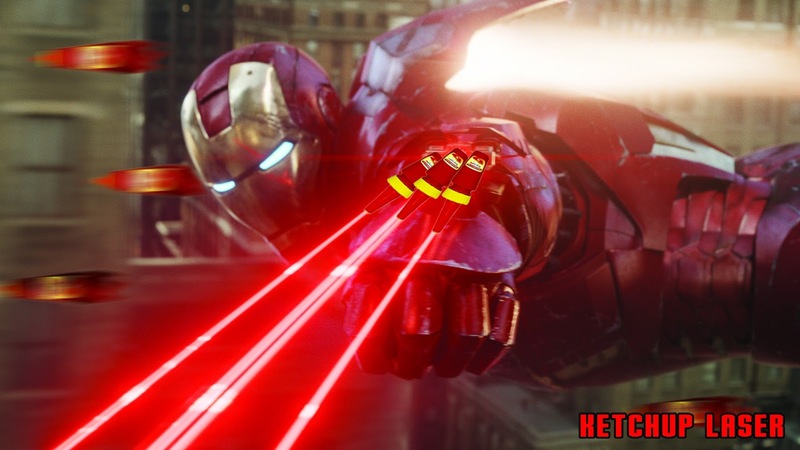 This suit/armor is designed for those people. The simplicity of operating a kitchen as a chef, and protection as a guardian, the hybrid module will help in multiple situations now and/or the near future. That is my concept! 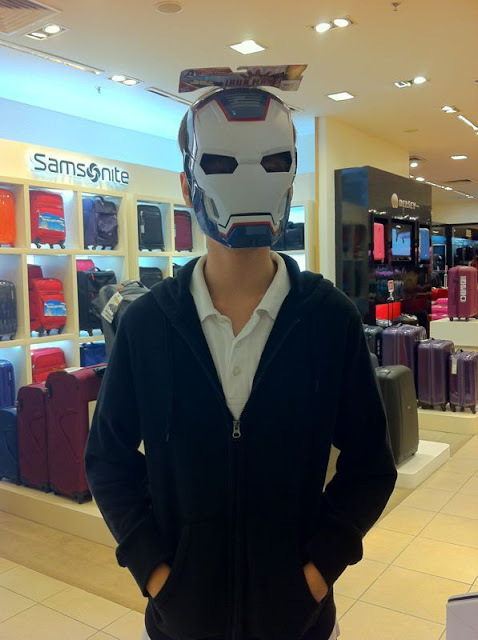 Here is a photo of me in the Iron Patriot mask!